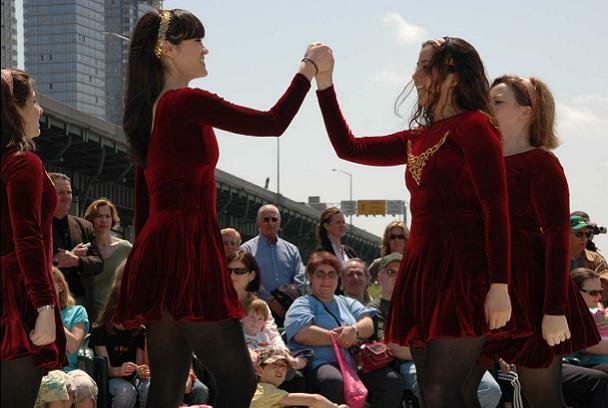 Many feiseanna offer competitions for adult Irish dancers. 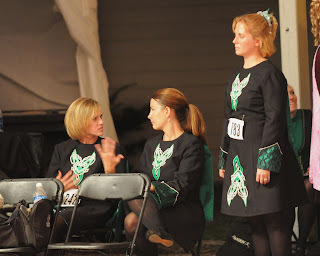 Here's a quick glance at feiseanna that are friendly to adult Irish dancers in March. *if you have a photo of your adult class practicing or performing that you would like to see featured, please email me. 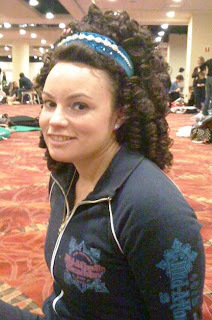 Kristina Varade is proud to belong to the Niall O'Leary School of Irish Dance, in New York City where adults are welcome and encouraged. Kristina joins us today to talk about her school and adult Irish dancing. 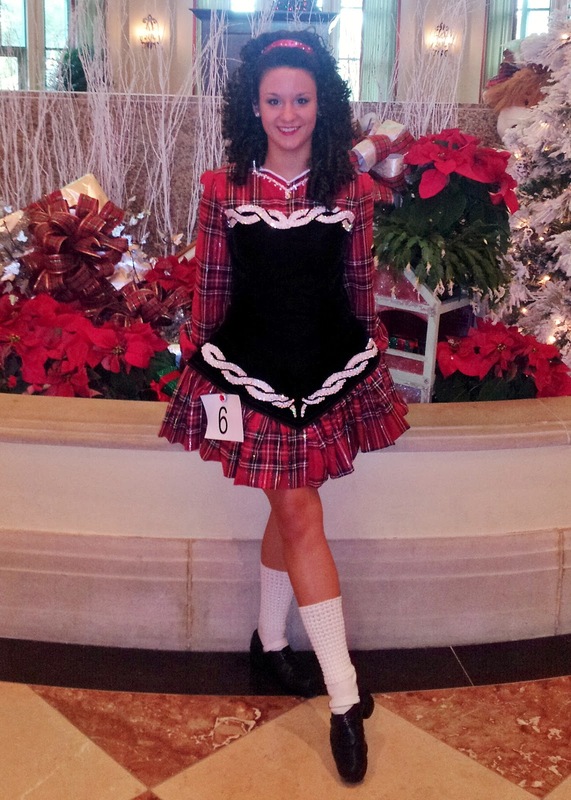 Feis America: Welcome Kristina! Thank you for sharing with us what your school is doing for adult Irish dancers. What is your dance school's attitude toward adults? Varade: Our teacher, Niall O'Leary of the Niall O'Leary School of Irish Dance, is fully committed toward his adult Irish dancers. He encourages all adult students, whether beginning or advanced, male or female, to participate in shows and informal performances or to compete at local and regional feisanna, no matter what level or ability. The school also has a strong commitment to team ceili dancing, and we are particularly proud of our tradition of placing well in major regional championships in this particular aspect of Irish dance. Feis America: How many Irish dancers in your school are adults? Varade: Classes held on Monday, Tuesday, and Thursday evenings are comprised of adult Irish dancers. 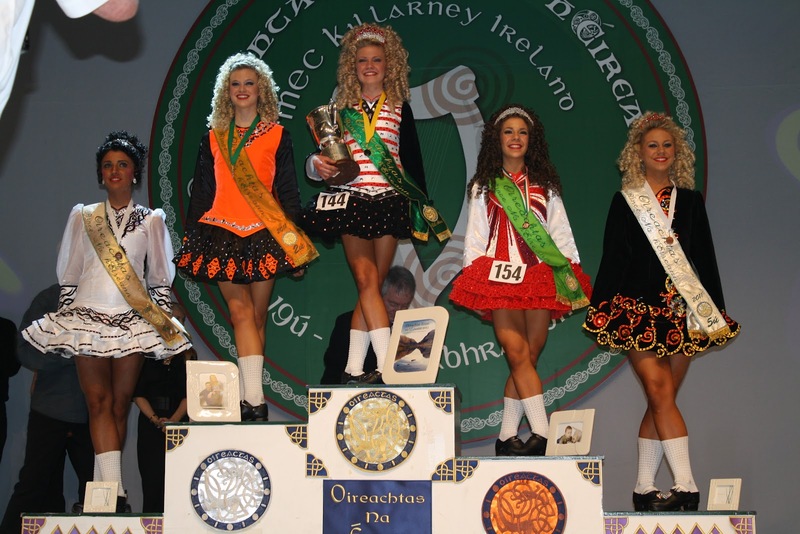 Feis America: Are your adult Irish dancers involved in performance and competition? Varade: Adult Irish dancers fully participate in both performance and competition. Some adults choose to focus solely on the annual student showcase, while others regularly attend feisanna. A small group of adults demonstrate their high level of Irish dancing mastery through participation in the Niall O'Leary Irish Dance Troupe. 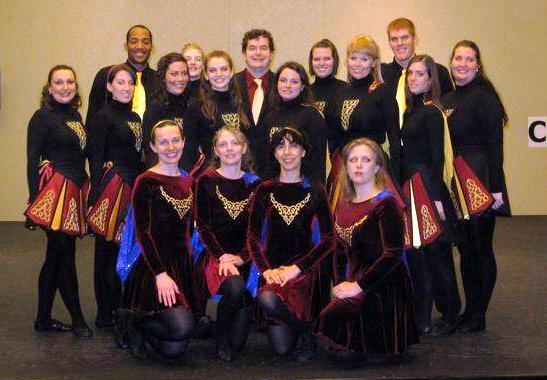 Niall O'Leary also organizes lots of events where adult Irish dancers get to perform, such as Irish Culture Night every Thursday at Paddy Reilly's on 2nd Ave and 29th Street, and a Leap Year celebration with lots of leaping on February 29th at P.D. O'Hurley's West End on 72nd Street, both in Manhattan. Further details about 'Leap Year Irish Evening', go to the Niall 'O Leary website. 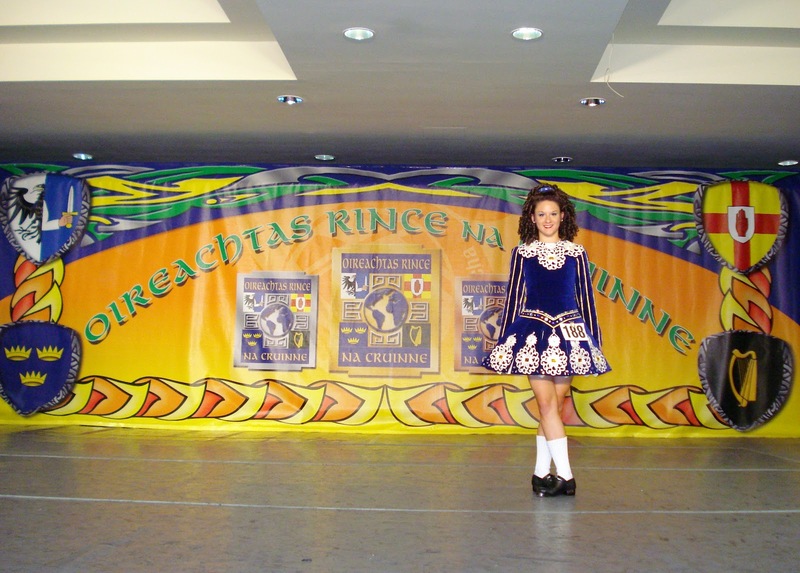 Feis America: As adult Irish dancers, how do you balance work and school with Irish dance? Varade: The balance between dance and work can be difficult at times. However, Irish dance forces you to concentrate only on the steps and music which are given to you by a dedicated teacher, easily blocking out the stresses and concerns of a daily job. The beauty of our school is found in the variety of adults who have chosen to continue with their study of Irish dance, even though they are pressed for time and hold important jobs. Most of the adult classes are held in the later evening, making it possible for adults to dance after daily personal and professional duties are completed. While dancing could appear to be a drag when class ends at ten o'clock at night, no one ever appears regretful for having pulled themselves to class. This is also because we adults have a close relationship with one another. The music, laughter, and concentration is an instantaneous energizer! 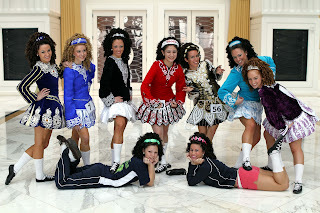 Feis America: What do you think the future looks like for adult Irish dancers? Varade: The future of adult Irish dancers is absolutely bright. It would be exciting to see more opportunities for competitive adult Irish dancers in the tri-state region; however, dance schools are paying attention to this need, and adult competition continues to grow. As such, adult Irish dancing remains a strong force in feisanna. It would be fantastic to see adult-only competition at even bigger events, like Nationals or even Worlds. Adult Irish dancers dream big! Feis America: Thank you Kristina. 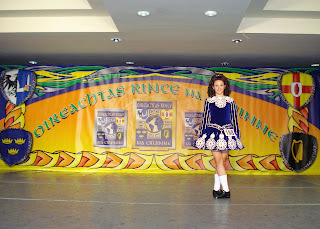 Good luck to you and the dancers there at the Niall O'Leary School of Irish Dance! Readers: If you know of an Irish dance school that is supportive of adults and would like to be spotlighted, please send me an email. Shane MacAvinchey and Paula Goulding are directing a new ten week workshop and performance this August in Ireland. For more information, go to the Take the Floor 2012 website. Senior ladies will be competing for the All Irelands Irish Dancing Championships this weekend. I tracked down the top three champs of 2011 to get their thoughts and advice for this year’s competitors. Emily Penner, Maggie Darlington, and Emily Babyn know what it’s like to continue dancing past their teens. None of the top three Senior Ladies are attending All Irelands this year, but they are willing to share their insights with the dancers who will be competing for the coveted spots for 2012. What advice do the ladies have for this year’s All Ireland Senior Ladies competitors? "Just to put your heart into it. If you're still competing at our age you obviously love it, so you may as well put it all out there!" 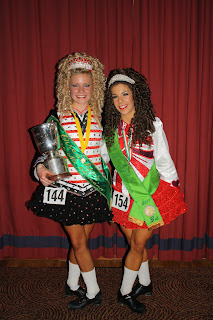 Thanks to Feis America blogger Darlene White for posting a full schedule of competitions at All Ireland. Below is a listing of the Senior Ladies and Senior Men.